There are several steps to achieving a new job: answering questions with confidence, accuracy and passion, and of course ending the job interview successfully. When you get chosen, this shows that an employer is interested in you and you have some quality or skill they need. They will then require you to come in person to clarify or buttress some key points regarding your resume and the position. When you reach the interviewing stage you are close to securing the job; but of course, there are other people shortlisted too. So, it now boils down to how you can prove you can offer more value than the other candidate—and you have to do this in a short period. Starting the interview on a positive note is important, but closing it on an electrifying note is even more critical. 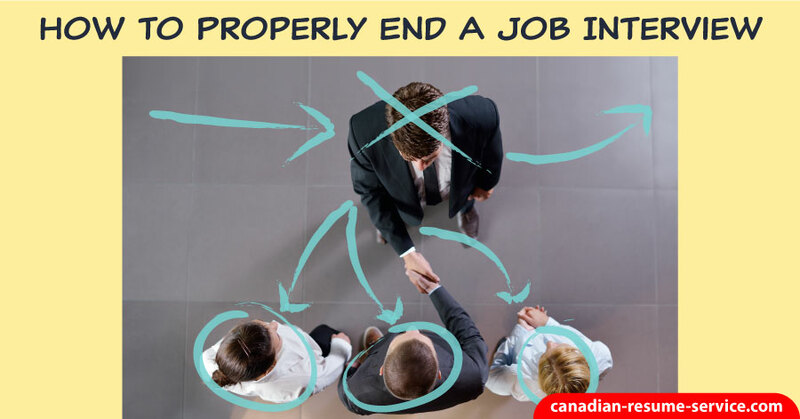 The following 10 steps will show you how to properly end a job interview in a way that will help you land the position. Make it very clear why you are applying for the job and try to customize your responses to fit the company and its goals. State how you can help the company fulfill its mission and vision with your ideas, and how your agenda can fit into theirs. You can only do this if you have researched and studied the creeds and ethos of the company beforehand. Be careful not to sound ill-informed or ask questions of items you could have readily gotten off their website or other sources. Ask questions that are relevant to the daily activities of the position. This will show your interest, your capabilities, and your motivation. Make sure they have exhausted all possible interview questions for you by asking if they have further questions or if they need you to provide anything else. Show you are prepared and confident by asking if they have any further questions. It will ensure you will leave the interview with your interviewers having all the information they need to make an informed decision. If they don’t have a list of your references or transcripts, they may ask at the end of the interview. Don’t discuss wages and benefits at the interview; you can do that when you have a concrete job offer. For now, just limit the discussion to how you can be of help. There is no harm in finding out how many people you are competing with for the open position. They may provide some details about the candidate and help you to strategize better to land the job. Make sure not to sound as if they are a threat to you, though. Be sure to find out what the next step is before leaving the interview room. Find out who should contact whom, and when they will expect to have made a decision. Ask in a very courteous and positive manner. Inquire if you could contact the interviewer and if they prefer email or phone. Make sure you have the correct spelling and job titles of everyone on the interview panel. A firm handshake with all the members of the panel shows a lot of confidence. Look them in the eyes, smile and offer a hand to all, one after the other, thanking them for meeting with you. When accepting a job interview, you are expected to be prepared for a long conversation. Make sure you don’t rush responding to questions because you have other appointments. Leave the day free from any other commitments. The interviewer may ask you meet key personnel within the company. Don’t show any sign of nervousness. Take your time and make sure you pack all your things; do it gently and in an organized manner. It commands some respect and shows your confidence and ease.